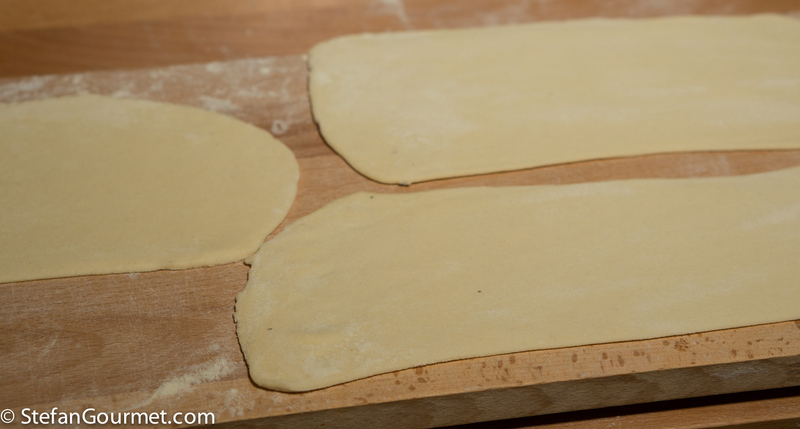 Roll the pasta out into sheets, using a rolling pin or a pasta machine (like I did). I rolled it out to a thickness of “7” with “9” the thinnest setting. 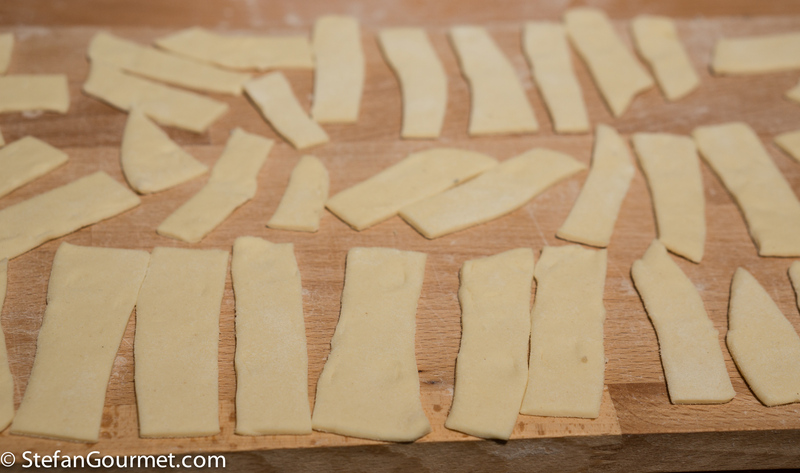 Cut the pasta into rectangles of 10-15 cm long (4-6 inches) and 1.5 cm wide (2/3 inch). 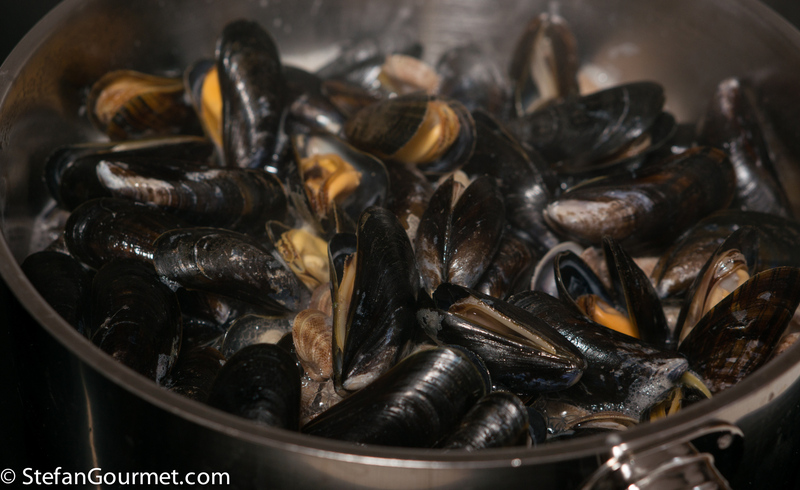 Make sure the mussels and clams are cleaned, purged of sand, and still alive. Discard any open shells. 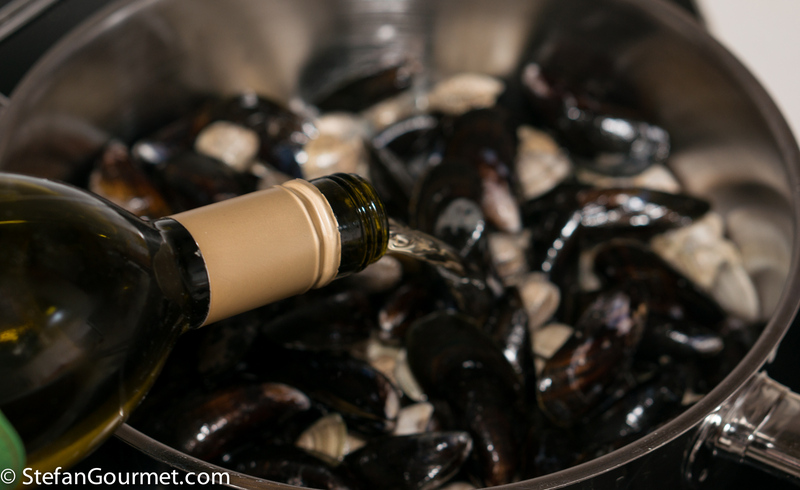 Put the mussels and clams in a pan and add the white wine. Cook until the shells have opened, but not longer. 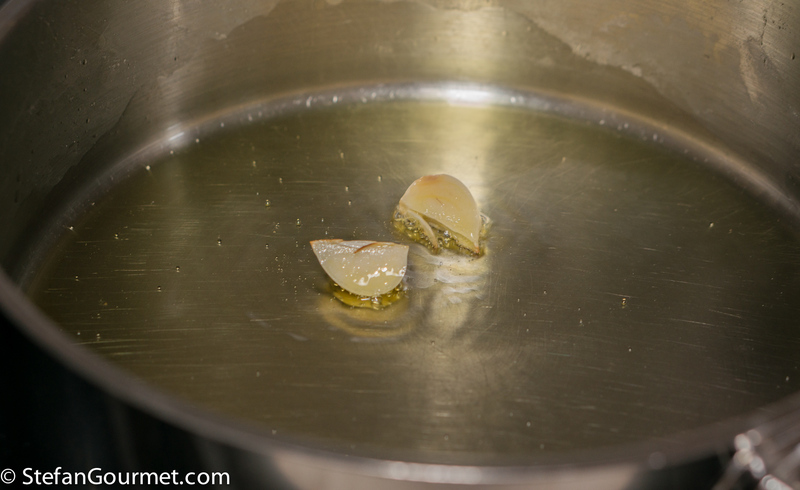 Strain the liquid from the shells into a bowl. 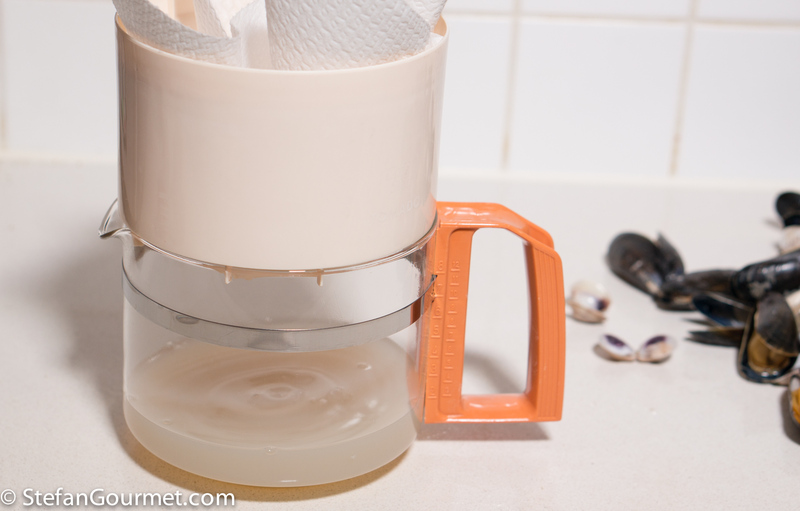 Filter the liquid through kitchen paper. 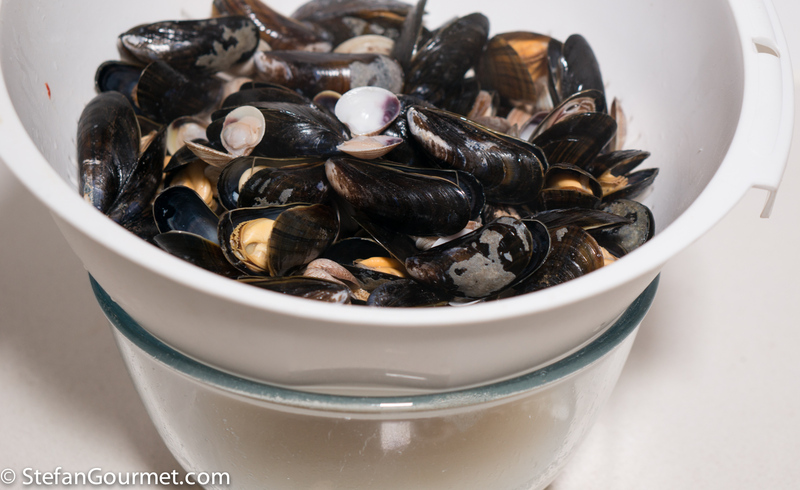 Take most of the clams and mussels out of their shells, but reserve a dozen or so of each in the shell for garnish. 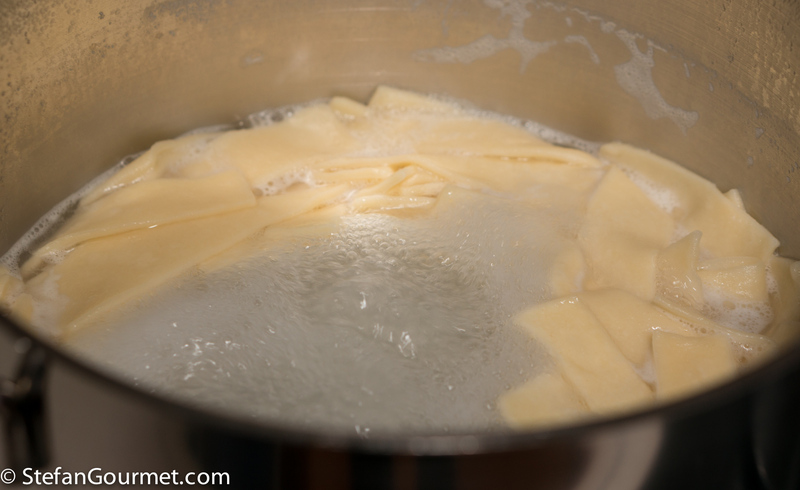 Meanwhile, heat 2 tablespoons of olive oil in a frying pan. 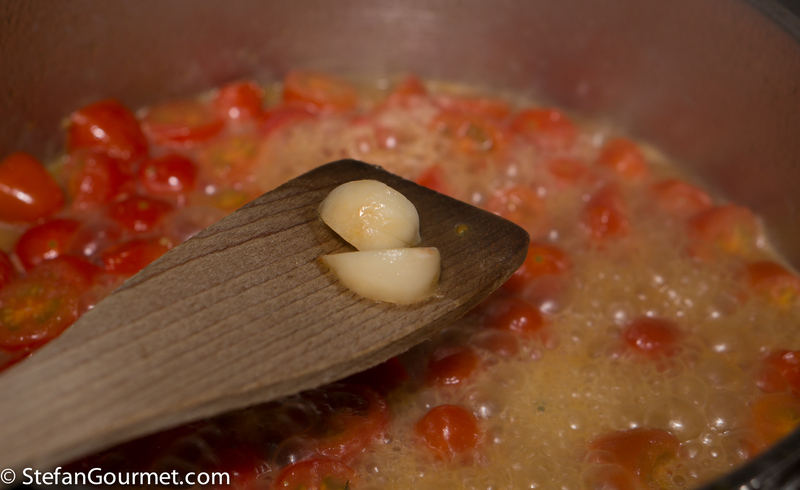 Add the garlic and cook over medium heat until the garlic is golden. 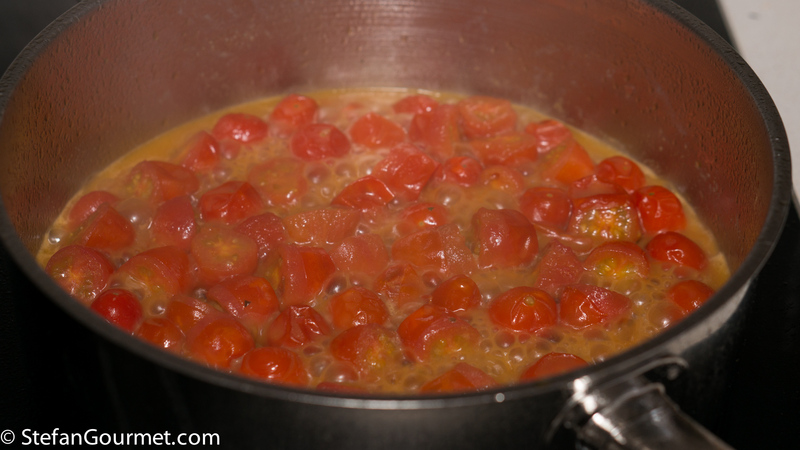 Add the cherry tomatoes, and stir over medium-high heat for a minute. 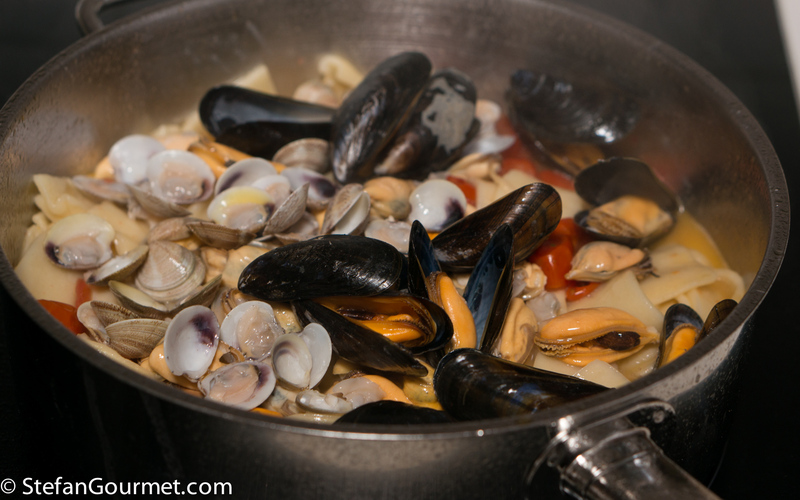 Add the filtered clam and mussel juice, and bring to a boil. 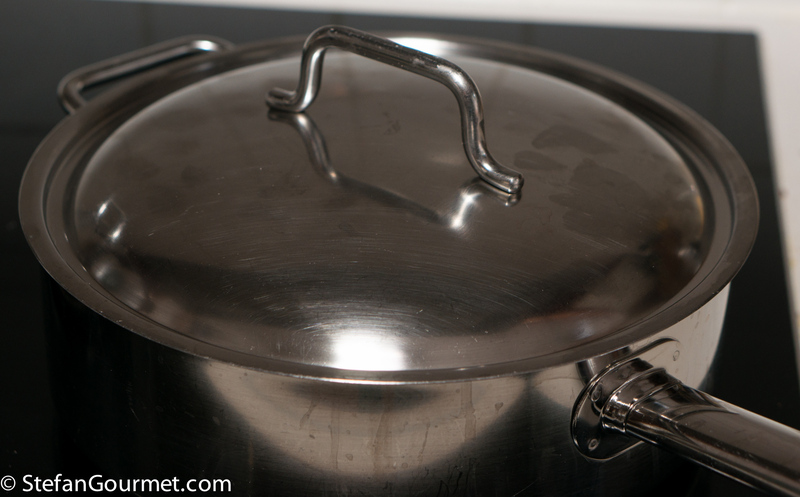 When the water for the pasta boils, add salt and the scialatielli. 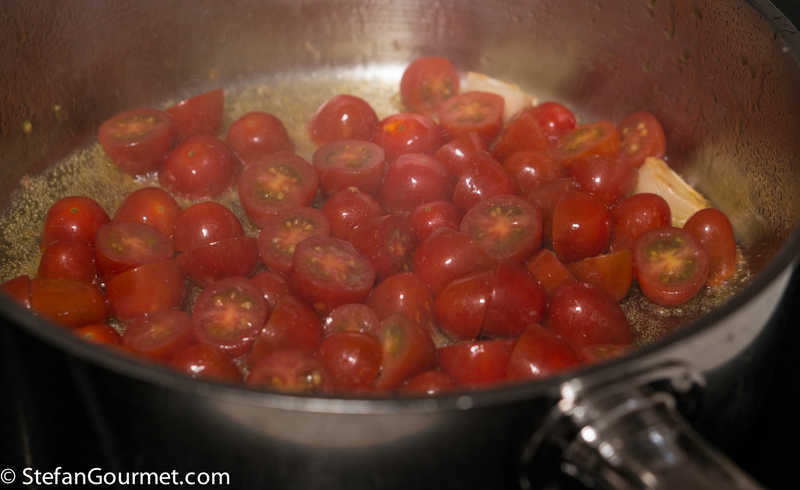 Cook them until they are still a bit shy of al dente, about 2 minutes. 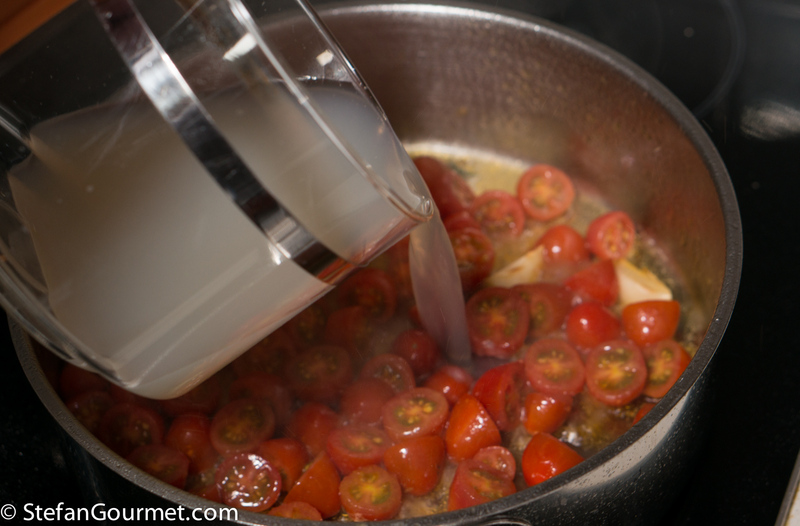 Meanwhile, allow the juice with the tomatoes to reduce over medium-high heat. 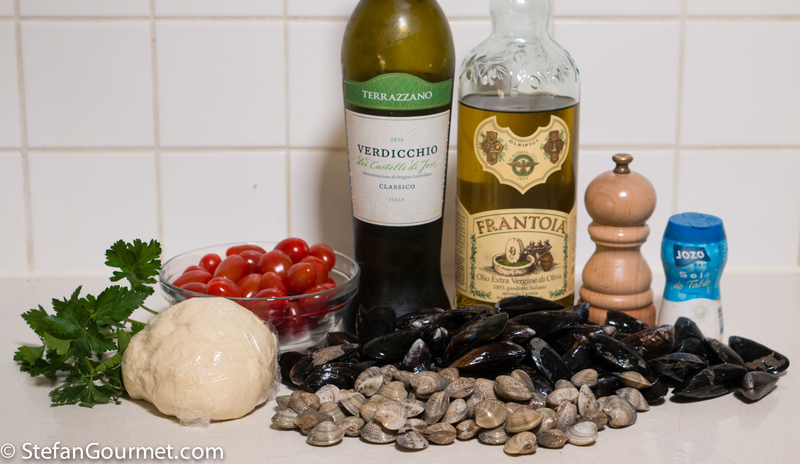 …together with the mussels and clams. 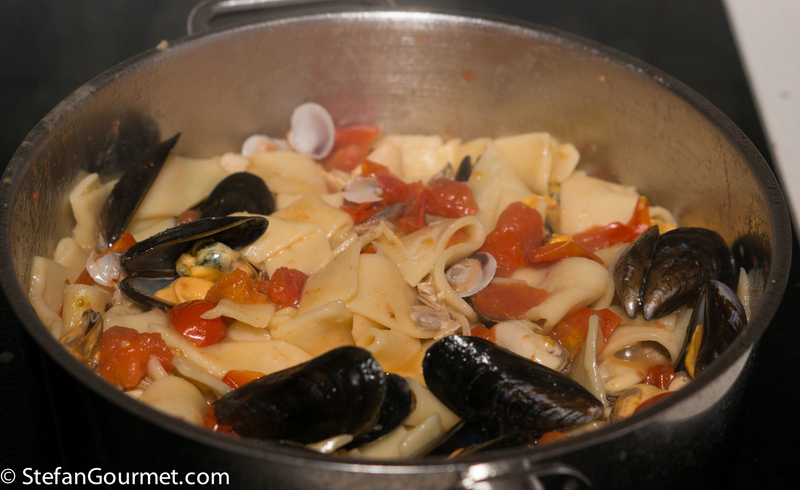 Stir over medium-high heat until the pasta is coated with the sauce and the clams and mussels have heated through. Serve on preheated plates, garnished with parsley. 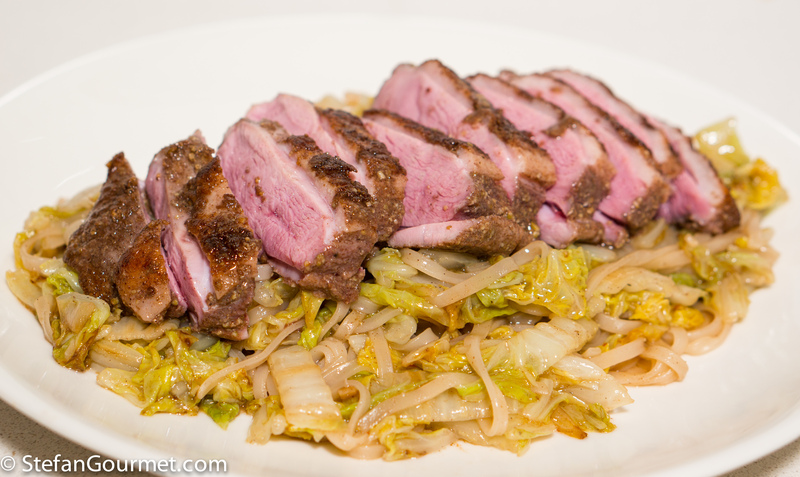 Five-spice duck with cabbage and noodles is a very tasty Asian-inspired dish. Such a beautiful spot! Love this pasta dish. 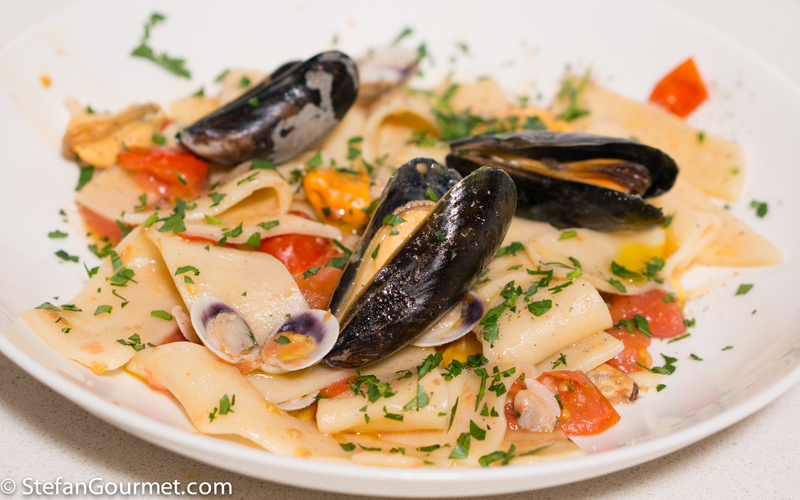 So very, very simple but if the seafood has just come out of the water and one gets the pasta right – no doubt sublime! 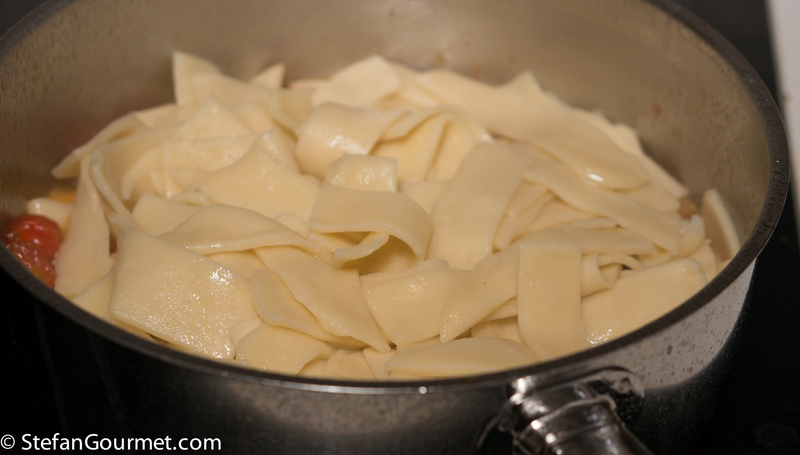 Have not made pasta of this shape and like that it is semolina, so shall put it on my ‘list’. 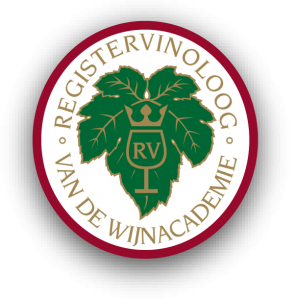 Am laughing about the disguised rotgut wine 🙂 ! Why is it that restaurants in spectacular surroundings are only ever mediocre? Ours are mostly fast food which isn’t even good! At least you were able to relive the beautiful memories of the views in a more delicious version of the food!